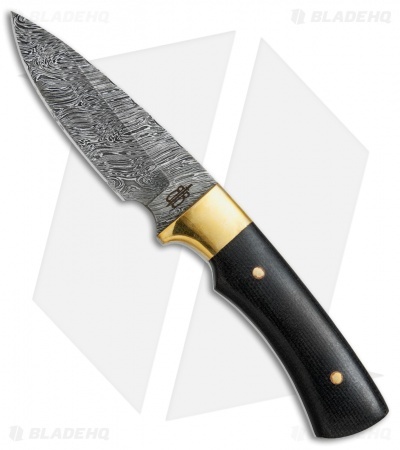 The Buck N Bear Black Mamba Hunter offers a well rounded design for versatile cutting chores. 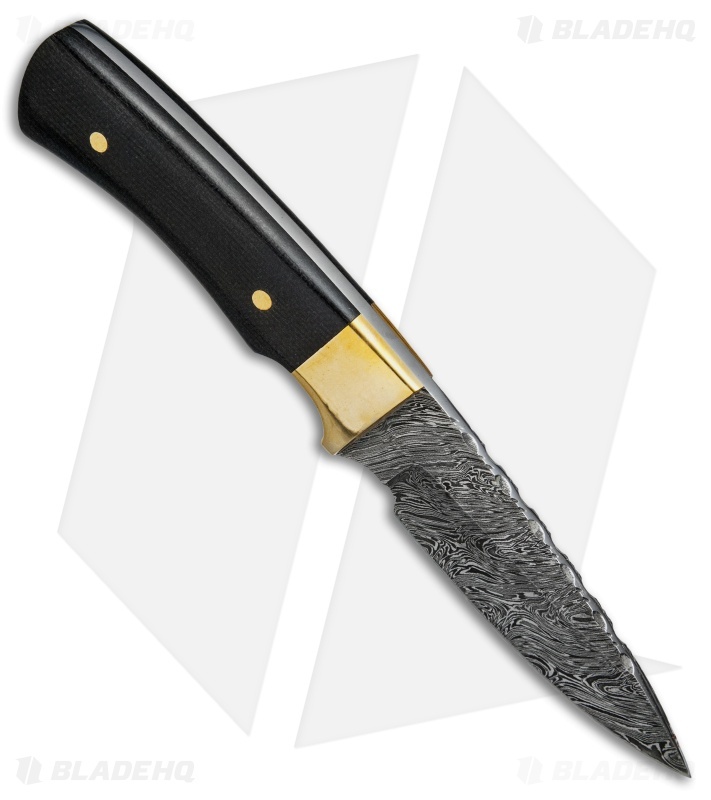 It has a damascus blade made from VG-10 steel in a drop point style with fine file work along the spine. The handle is made from black micarta with brass bolsters. 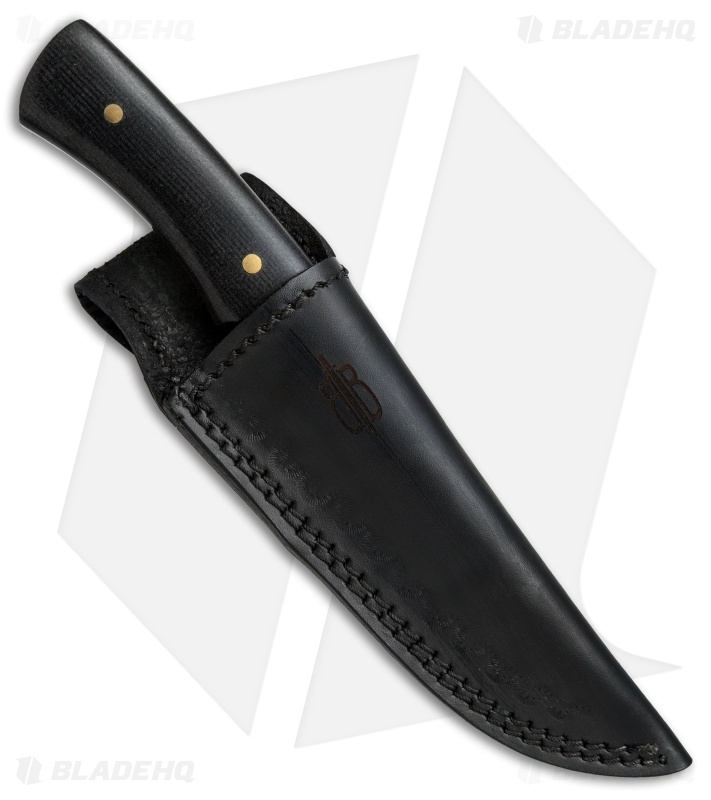 Item includes a premium leather sheath with a belt loop.